The effective and innovative use of business data analytics is a hallmark of the most successful companies. After all, data analytics impacts every aspect of every business, from supply chain to customer experience and everything in between. It provides the knowledge needed to make business decisions that will grow revenue and profitability. This is especially the case for small and midsize businesses (SMBs), where employees wear many hats, processes constantly change, staying competitive is a moving target, attracting customers is key and there’s often rapid growth. While many business leaders still rely on intuition, evidence-based business leadership is on the rise—meaning those who don’t dig into the data may find themselves at a significant disadvantage. 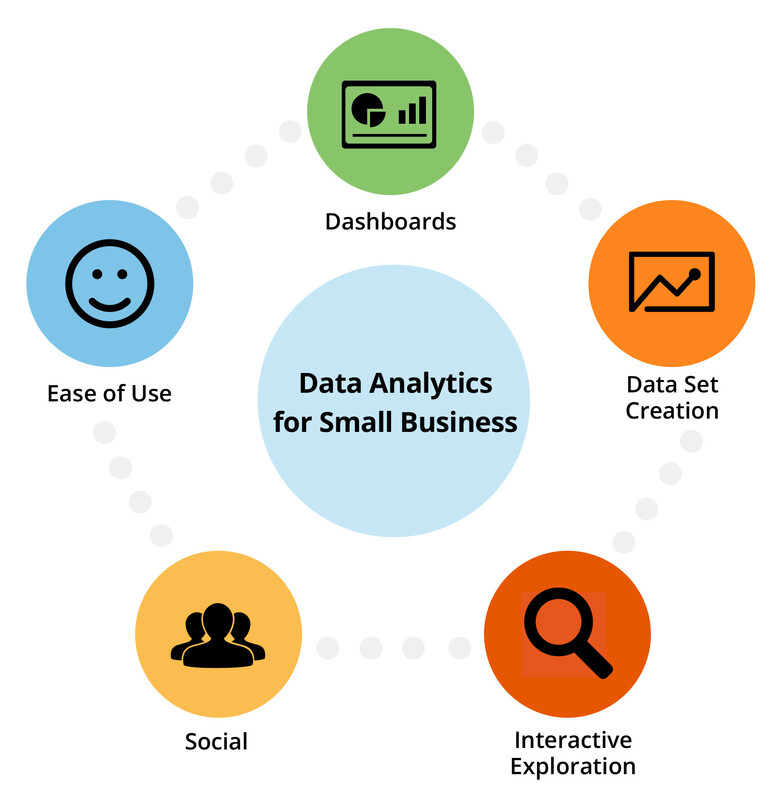 How Can SMBs Perform Effective Data Analytics? Effective data analytics comes from the careful examination and exploration of how information flows through and improves a business. And while there may be a ton of business intelligence (BI) technical lingo associated with data analytics, this doesn’t mean it has to be hard for SMBs. In fact, BI software tools have advanced to where businesses are no longer dependent on technical gurus. To help SMBs make the right choice, we’ve identified the five data analytics capabilities that are most important for a small business seeking a new data analytics tool. In part one of this article, we’ll go into detail about each capability and the benefits it can offer. In part two, we’ll highlight several software vendors that are particularly strong in certain areas of data analytics. The best data analytics tools enable business users to create highly interactive, visual dashboards that allow others to view, share and explore key data. Users can dive into the data to search for root causes, discover trends and more. In addition to being able to create these dashboards themselves (without help from IT), users can also easily share them, making them a great way to provide visibility across business functions. Advanced interactive visualization: Delivers advanced charting, multidimensional rendering and data animations with filters, panning and brushing capabilities to easily manipulate the data views. “Out of the box” analytics: Includes algorithms for estimation, mining, forecasting, lassoing, simulation, etc. so the dashboard becomes a robust tool for simulation and contingency planning. Location intelligence: Includes interactive maps and geofencing to examine where your business is performing well or poorly … and why. Example: The sales operations managers of a local cinema chain create a data analytics dashboard to visualize and analyze screen sales performance across all theaters. They’re able to detect patterns in sales that lead to more reliable forecasts of opening performance and revenue decay rates for different types of films. As a result, they optimize their approach to movie replacement based on new movie lifecycle models. Great data set creation functionality provides users with an easy, code-free, drag-and-drop interface for pulling data from different sources so it can be massaged into something tailored and ready for display and exploration. Example: A local department store in the U.S. blends and analyzes millions of customers’ data across 13 different data sets, including census, ethnicity and population migration data. They develop spend and attrition models that enable them to identify their high-value, multi-channel customers. With this intelligence, they alter their product mix in physical stores and online and target these customers in new ways. As a result, they increase average spend per customer and nearly double shopper traffic to their physical and online stores. This powerful functionality does all of the data crunching and heavy presentation lifting so users can focus on what the data means for growing their business. Example: A North American shipping company replaces their complex Excel spreadsheets and a weekly 35 page report with continuous interactive heat maps to visualize the locations of 800 trucks operating across 16 facilities. With this continuous location analysis, they reduce indirect truck movement (moving empty trucks from one place to another) by 67 percent and open two new facilities to plug holes in U.S. coverage. As a result, they’re able to reduce their need for new trucks, saving them over $130 million. Collaboration and social integration is exactly as it sounds: This functionality enables business leaders to share information, tell a story around the data, find collaborators, discuss the analysis and collectively explore issues and make decisions. Together, this feature set takes analysis and decision making from isolated individual work to a community effort. This begins the collaborative and socialization process required to bring ideas to life. Example: A North American university uses data analytics on multiple sources within a campus location, including tweets, mobile traffic and video surveillance in order to estimate crowd sizes and enact crowd control and safety. During campus events, the event staff and crowd control personnel share real-time dashboard data intelligence augmented with staff feedback to proactively initiate crowd control actions and facilitate crowd safety. Ease of of use is not a specific feature or feature set—but it’s a general capability that is crucial to small business use. Historically, data analytics tools were built for more technical, data scientist types who would then provide a data “service” to business users. But now, usability by normal human beings is a primary goal of most data analytics software providers. Easy to use data analytics platforms should have an intuitive drag and drop graphical interface that requires zero software coding and minimal training. Users should also be able to use the tool’s basic capabilities anytime, anywhere with both offline and mobile access. Another big part of ease of use is how easily people can install, set up, deploy and administer the software without IT department support. Together, these capabilities help get people up to speed quickly so they can start being productive within minutes—not days or even hours. Now that we’ve covered the essential data analytics capabilities for small business, let’s take a look at five software products that are particularly strong in these areas. (You can also check out a more exhaustive list of BI and data analytics tools here). Pros: Birst makes our list because of its strength in ease of use. Customer service is exceptional, and it offers solid dashboard and interactive data exploration capabilities, including multi-dimensional analysis and time-period awareness. 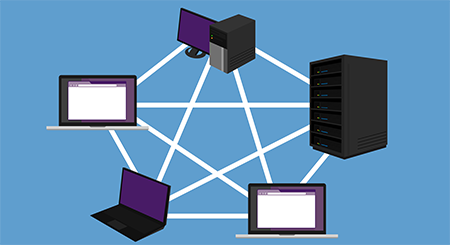 Implementation is also quick, since Birst is primarily deployed as a software as a service (SaaS) model (however there is an option for customers who wish to store their data on-premise). Birst also offers offline and mobile (iPad) access to interactive dashboards. Cons: Birst lacks some advanced data manipulations and visualizations, such as bins, groupings, tree maps, geo maps and natural language query (NLP). It also doesn’t support storytelling and collaboration. Pros: Spotfire ranks highly among business users for its data mashups, dynamic dashboards and interactive visualization. Tibco is also strong in mobile access, with its Spotfire Analytics mobile app for iOS and Spotfire Mobile Metrics for iOS, Android and Windows. Cons: This solution is lacking in embedded BI and production reporting. However, SMB leaders often consider these functions less important. Pros: Tableau offers a highly intuitive visual interface for data set creation, data exploration and dashboard creation, and supports mobile and browser-based content authoring via iPad. Tableau also has a free cloud-based version called Tableau Public, which can be great for SMBs looking to try before they buy and and even derive business value without paying a single penny. Cons: Tableau’s emphasis on business users comes with a cost. Many advanced users consider Tableau lacking in some of the more advanced features, such as embedded BI, platform administration, production reporting, data preparation and metadata management. Pros: Qlik Sense is web-based and targets business users with interactivity and smart visualization features that automatically highlight patterns in the data. Qlik Sense storytelling allow users to pull different views together, annotate them and share findings without the need for PowerPoint or other third-party presentation tools. Qlik Sense also has a new token-based licensing model that provides a more flexible means for software use-based pricing. Cons: Qlik Sense has limited interactive exploration capabilities relative to competitors Tableau and Tibco Spotfire. It focuses more on data discovery than production reporting. But production reporting is less important for small businesses. Pros: SAS Visual Analytics has a breadth of capabilities that provide innovative visualization, and its statistical and predictive modeling functionality really stands out amongst the competition. The SAS Office Analytics product provides benefits to SMBs that are already Microsoft proficient by offering business users the option of consuming and interacting with SAS content using Microsoft Office. Cons: SAS is one of the most costly BI/analytics tools on the market, which means it may be too expensive for many SMBs. However, if the competitiveness or growth of a business is dependent on state of the art analytics, this solution a strong option. This analysis is intended as an overview of the most important data analytics capabilities SMBs should look for when seeking a new solution. We recommend that you use this analysis as part of a larger product evaluation effort. Assess and document the top three to five business use cases for data analytics software that clearly explain how you intend to use the software to benefit your business. Capture additional needs you’re looking for in a new solution, including budget, preferred licensing model, integration with existing software, training needs, professional services required, etc. Create a short list of potentially suitable software products. Software Advice can help: Get a free consultation from one of our expert BI software advisors by calling (855) 998-8505. Ask selected vendors to explain how their product’s capabilities match up with your business use cases and other needs. Compare these products against one another and make an informed decision. This analysis is based on an online survey of business intelligence and data analytics software users receiving over 2000 responses and an examination of the functionality of over 20 leading data analytics software products.